Hooray! 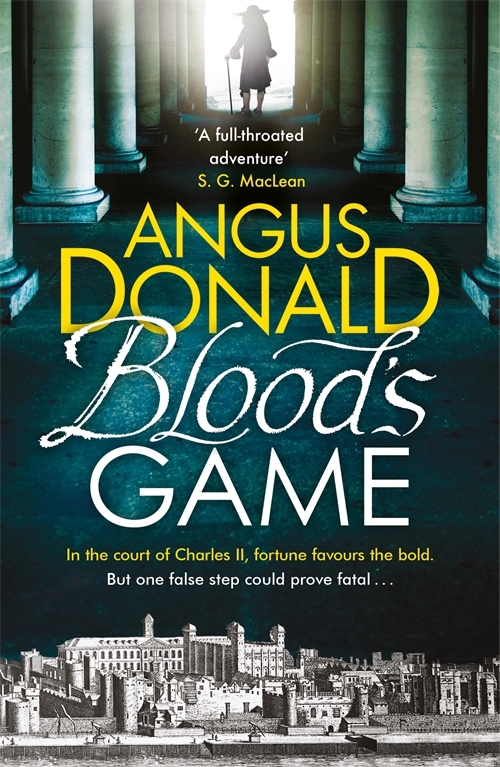 It’s publication week for the paperback version of Blood’s Game. The first novel in my 17th-century swashbuckling Blood series hits the shelves of on Thursday (September 6, 2018). It’s got a new cover – which I think is rather beautiful (see below) – and you should be able to get a copy for £8 or even less from most virtual and real bookshops. If they don’t have it ask them to order it for you. The novel concerns the attempt by the notorious outlaw Colonel Thomas Blood to steal the Crown Jewels from the Tower of London in May 1671. But the real hero is his son Holcroft Blood, a very unusual individual with a vast gift for numbers and codes but very few social skills. He is shy and quiet but strong and brave, clever in some ways but confused by jokes and metaphors. He finds most other people as incomprehensible as they find him. I think – at least I hope – you will like him. He gets involved in the lethal snake-pit of Restoration politics and manages to survive and even to thrive. Other colourful characters include the penniless King Charles II, the serpentine Duke of Buckingham, the playwright and ex-spy Aphra Behn, Jack Churchill, a handsome young Guards officer and the future Duke of Marlborough, Barbara Villiers, the King’s mistress, Nell Gwynn, who seeks to usurp her place, and other assorted villains, cut-throats, gamblers, rakes, whores and unlikely heroes. If you don’t fancy the paperback, or the hardback (there are still one or two available), Amazon are selling the Kindle version for only £1.49 for a limited time. You can buy that here. So what are you waiting for? Go and fill your thigh-length black leather boots!